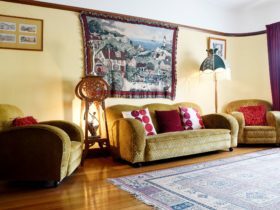 The Dragonfly North West B&B, previously known as Glen Osborne House (c.1885) offers bed and breakfast accommodation near Burnie. 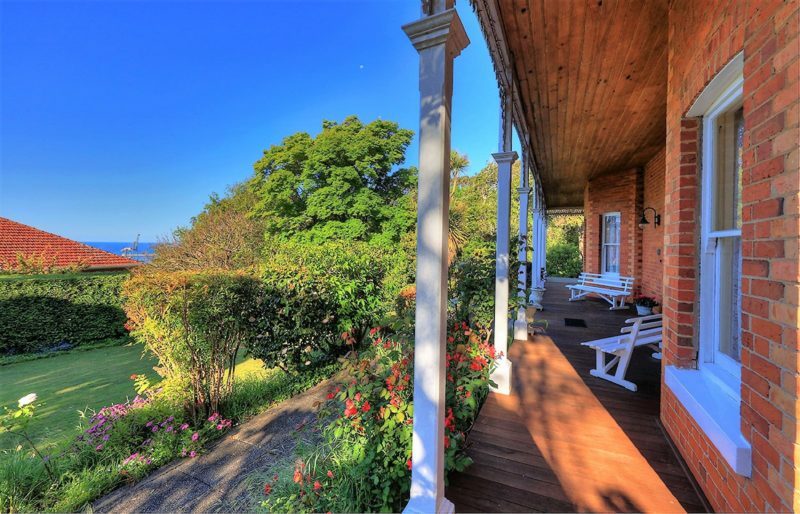 This National Trust listed property is surrounded by two acres of gardens, and only one kilometre from Burnie. The period decorations and antique furniture take you back to a time when you didn’t have to rush, but the modern amenities give you the convenience and comforts of today. Sleep in an antique bed in a high-ceiling bedroom, fresh with country air. All bedrooms have ensuite facilities, one has a spa bath. Step from your bedroom onto the iron lace veranda, let your eyes linger on views of the beautiful coast. 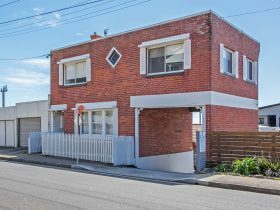 The property features delightful gardens and off-street parking. Here, there’s no dashing out after a quick coffee – stroll into the elegant dining room for a home-cooked breakfast. 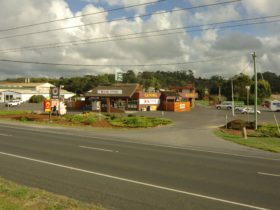 Walk into Burnie or drive to the local beaches or forests. There are lakes and rivers to fish and mountains to climb. Have a picnic in the wilderness. Sleep in an antique bed in a high-ceiling bedroom, fresh with country air. All bedrooms have ensuite facilities. Step from your bedroom onto the iron lace veranda, let your eyes linger on views of the beautiful coast. The period decorations and antique furniture take you back to a time when you didn’t have to rush, but the modern amenities give you the convenience and comforts of today. Iris Room is located on the first floor of the house with a beautiful window view of the expansive gardens. 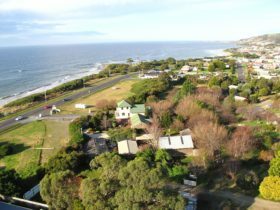 The room is spacious and has private access to the ornate veranda that overlooks the city and the sea views of the port of Burnie. This room has a spa and king size bed. Rose Is located on the first floor of the house with plenty of space to relax and enjoy your stay. 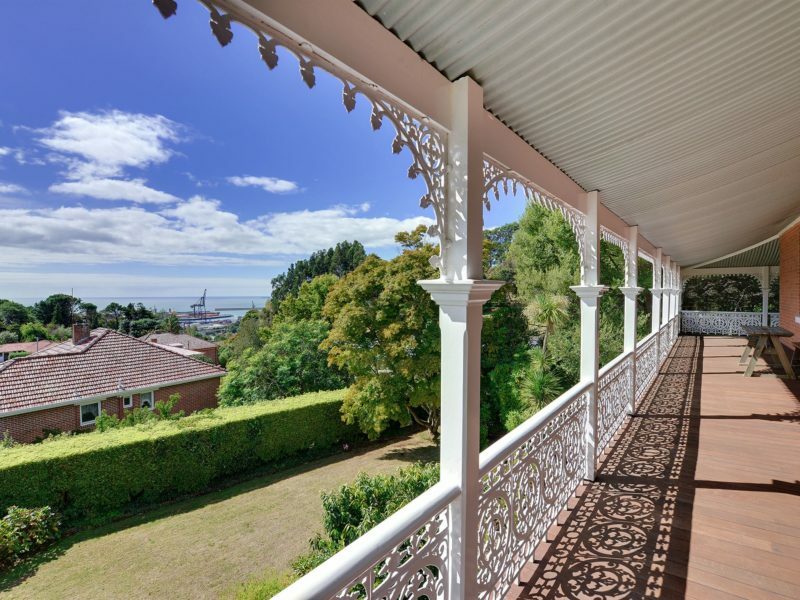 The room has a window view across the ornate veranda to overlook the city and the sea views of the port of Burnie. Lily is located on the first floor of the house and has plenty of space to relax and enjoy your stay in a quiet setting. 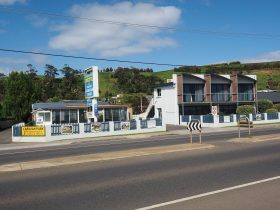 The room has a window view across the lush gardens and Burnie landscape. 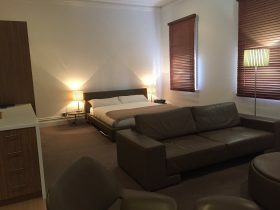 Is a spacious twin share room located off the courtyard leading from the main house. 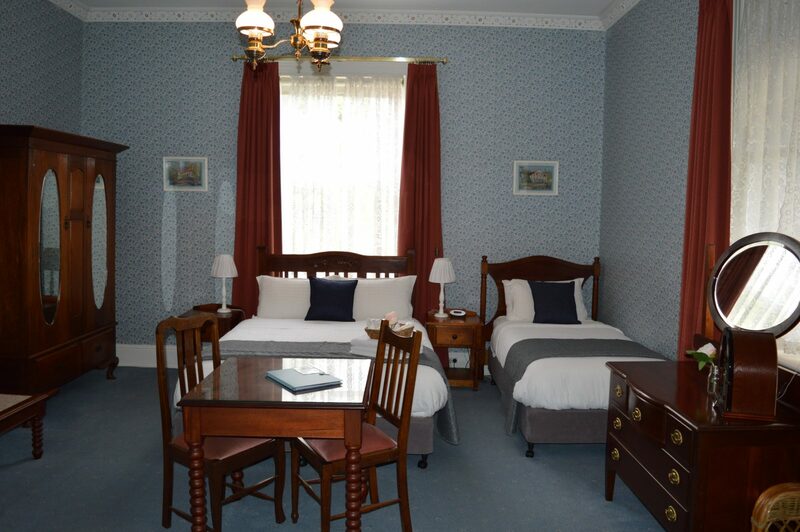 This peaceful room is located where the original stables once stood, surrounded by the leafy gardens of the property.